A successful move takes a lot of effort, time and planning. Although everyone’s hoping for the best, there are some unexpected situations and issues that can arise during the relocation process. One of the biggest concerns is that all household belongings reach the new location without being damaged or lost. However, it is not surprising that no matter how careful you are, you may end up with some damaged household goods. Imagine what could possibly happen if your household belongings were packed carelessly and some of the basic moving guidelines disregarded. Whether you are moving on your own or with the movers’ assistance, given the nature and complexity of the task, certain inconveniences may occur, but bare in mind that movers have a lot more experience and they know how to keep your belongings intact throughout the move. How to keep the most delicate items safe during the relocation? Here’s the list of items that are most likely to get damaged during the relocation and moving tips how to prevent similar damage. 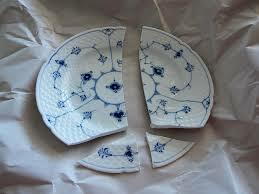 – Glassware and china is the most obvious example of the items that get easily broken while in the process of being transported. That being said, you need to follow some safety precautions when preparing for the move so as to protect your items against damage or loss. – Get proper (rather small) moving boxes if you haven’t saved the original packaging. – Wrap the items with the packing paper of bubble wrap. – Pack first the heavy pieces and the light ones on the top. – Use any cushioning material available (padding, bubble wrap, old clothes, towels,…) to fill up an empty space in the moving boxes. – Label each box indicating FRAGILE or BREAKABLE so that your helpers know that those boxes require special care. – Electronics are usually expensive, very delicate and damage prone items especially if not packed and handled carefully. Here are some suggestions how to keep your electronic equipment safe during the move. – Use original packaging to keep your electronics safe during the relocation. Alternatively, find suitable, sturdy boxes that will properly accommodate your appliances. One scratch may considerably damage your gadgets, so take these simple steps so as to ensure a smooth relocation experience. – Remove the cords and pack them separately. – Reinforce the bottom and the top of the box with a lot of padding and cushioning. – Wrap each device with the packing paper and bubble wrap. It might be a good idea to transport the photos and frames separately. If the frame gets broken, it may ruin the photo, which is an irreparable damage. Lamp shades should be removed from the base and transported separately in a proper-sized moving box. A lot of cushioning material will ensure steadiness of your items inside the moving box. Also, do not put anything on top of the boxes marked as ”FRAGILE”. Collectibles are not only fragile, but also valuable, so you certainly don’t want to take chances with them during the move. Whether your antiques have sentimental or material value, losing or damaging them can cost you a lot, which is why hiring professional packers in similar situations is highly recommended. – Furniture is usually large, heavy and difficult to move without other people’s help. – Dismantle each piece of furniture if possible. Make them lighter by removing detached parts (table or bed legs, mattresses, drawers, shelves,…). – While moving furniture try to keep your floor safe and clean. Taking a few precautionary steps may save you a lot of hassle later. – Use proper packing supplies (bubble wrap, furniture blankets, ropes,…) and a dolly for easier transport. – Moving bulky and oddly-shaped items like pianos should be entrusted to professional movers. They are much more experienced and will do what ever it takes to deliver your treasured belongings intact.